Obituary Notice for LaRue "Rue" Evans | Pepper Funeral Homes & Cremation Facility, Inc.
LaRue “Rue” Evans, of Canton, Pennsylvania, passed away peacefully at home with his loving family by his side on Saturday, April 13, 2019. LaRue Raymond was born September 3, 1963 to the late Paul Evans Sr. and Carol Wilson Evans in Blossburg, Pennsylvania. Upon graduating from Canton High School in 1981 he enlisted in the U.S. Marine Corp where he served as a heavy equipment operator. LaRue was a solids control operator and heavy machine operator in the oil field business until his health no longer permitted him to continue. On June 19, 2015 he married Donna Marie Drake in Ogdensburg, Pennsylvania. Rue was a very loving and devoted husband. 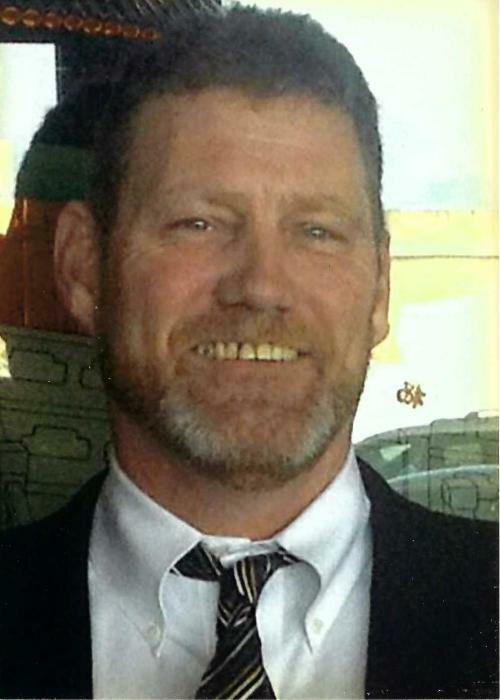 He will be remembered for his dry sense of humor and was an avid outdoorsman. He enjoyed fishing, camping and hunting. LaRue also liked Nascar’s Mark Martin and the Florida Gators College Teams. Besides his father Paul Evans Sr., he was predeceased by a brother; Kevin Evans, maternal grandparents; Frances and Dorothy Wilson, and paternal grandparents; Raymond and Lila Evans. Surviving Rue are his wife; Donna Evans, of Canton, Pa., mother; Carol Evans, of Ogdensburg, Pa., Sisters: Dorothy (Lanier “Bud”) Ayres of Canton, Pa., and Tammy (Dave) Williams, of Canton, Pa. A brother; Paul Evans Jr., of Virginia Beach, Va., sons; Sean (Lauren) Blair of Brockport, NY, and Anthony Blair of Painted Post, NY, a daughter Jessica Blair of Pine City, Ny., a granddaughter Alana Mae Blair of Brockport, NY., his Mother and Father-in-law; Don and Anna Drake of Elmira, NY, and brothers-in-law; Mike Drake of Elmira, Ny., Mark Drake of New Orleans and Don Drake of Virginia, as well as several nieces, nephews and cousins. A private memorial service to honor LaRue’s life will be held at the convenience of the family. Pepper Funeral Home and Cremation Facility 578 Springbrook Drive in Canton, Pa. is assisting the family with arrangements.